Commonly called the Whiskey Cocktail, a simple compound of spirit, sugar, bitters, and water. 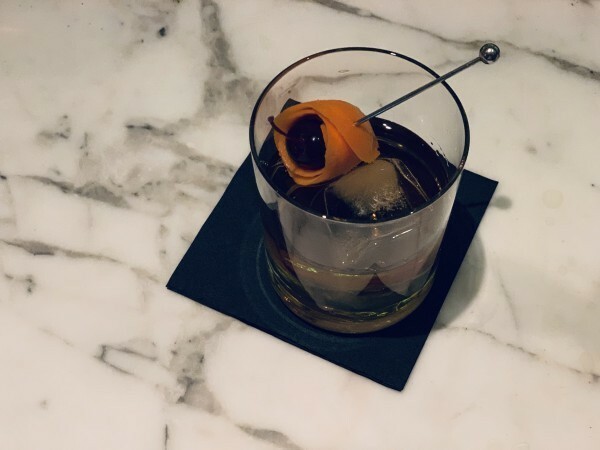 The “Old-Fashioned”, which came to be the drink’s common name, was born in the late-19th century when barkeeps began experimenting with the basic formula. Blanton’s is a single-barrel bourbon bottled at 93 proof. The mash bill is a rye-based bourbon mash that includes about 15 percent rye grain. 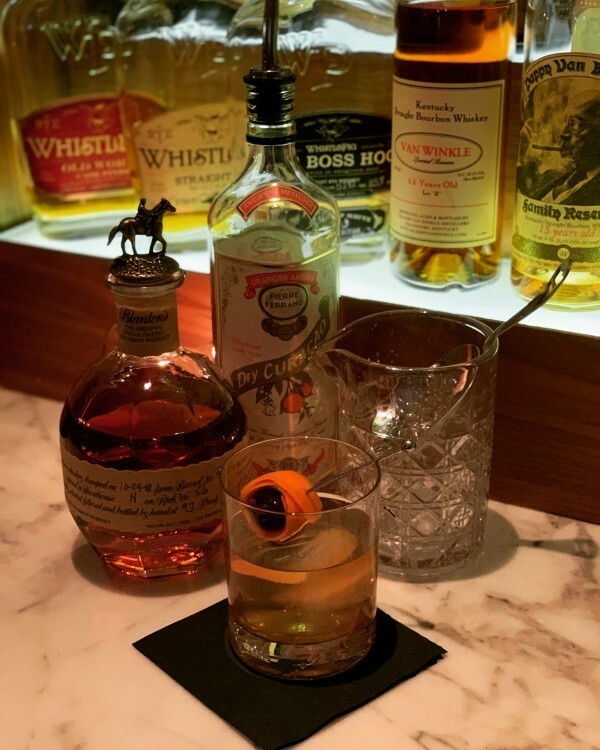 We feel this original single-barrel spirit offers a slightly elevated approach to our whiskey cocktail. The super-rich demerara syrup is a perfect balance of flavor. Pierre Fernald’s delivers a nicely dry curaçao with a bitter twist - a subtle spicy orange, with a mild spice punch behind it. This gives more complexity, depth, and interest than your average sticky, sweet orange Curaçao. Notes of vanilla, cinnamon, nutmeg, anise, and juniper all become reviled with an additional layer of pine from the dash of bitters from Angostura with Coastal Roots. 1. Combine all ingredients in a mixing glass over ice and stir briskly for 15 to 20 seconds. 2. Strain into a rocks glass over a large ice cube. 3. Garnish with a long swath of orange peel wrapped in a bada bing cherry.